Family owned and operated businesses seem to be getting fewer and fewer each year. 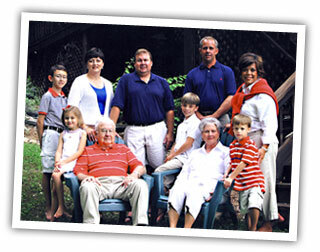 Irvington Gas Company, Inc. is a third generation owned and operated business. It is a propane (LP-Gas) distribution company and is an outgrowth of Kasey Petroleum Company, an independent gasoline distributor which started operation on November 9, 1932 with the first electric gasoline pump in town. On April 13, 1938, while still a part of Kasey Petroleum Company, the first gas range was installed in the home of P. L. Kasey, the founder of the company. To obtain a gas supply for the range, 100 lb. cylinders were hauled by a farm truck to Louisville, Kentucky and placed on a barge and sent to Erie, Pa to be filled and returned. Now, these cylinders can be filled at the company plant in a matter of minutes. We feel that our company has survived for 70 plus years because of the quality of our products, our delivery and installation equipment, and our staff. The personal touch is and can be provided to our customers but cannot be provided by large, multi-state companies. Ask our customers. A sister or related company is Valley Gas, Inc. which is a natural gas distribution company serving Irvington, Kentucky and environs. This organization came into existence in 1962. To our knowledge, we are the only locally owned and operated companies in the state of Kentucky providing both LP-Gas and Natural Gas service to our trading area. It has been a policy of our company that if anything is worth doing, it is worth doing it right. With the very capable employees we have, we can do it right. We make no claim to being the cheapest, just the best.